The continual development of ever more styles and colours in garden and landscaper brick paving places Chelmer Valley miles above any other paver supplier in the UK. Imaginations are set free with inspirational concepts and patterns that enrich outdoor spaces in ways not previously considered. Add to this the longevity, true value for money and unrivalled quality, the benefits of Chelmer Valley landscaper paving become hard to ignore. Landscaper brick paving formats have evolved over time and the original ‘brick on edge’ method has become the landscaper paver of choice for garden designs and public spaces. This style once again dominates design and we offer many size options in this style, with ranges such as Alpha, Old Belgium and Nostalgie, alongside formats like old garden bricks, in styles like the Cottage Garden range. Our showrooms are ideal to experiment with our wide range of pavers, we encourage mixing landscaping brick pavers to discover the perfect match for your design scheme or existing materials. All of our pavers have a unique feel and style, suitable for all applications, both commercial and domestic. Our assistants are always on hand within our showroom to answer any questions and to office their specialist advice. Exceptional fine on edge style paving used time and again by designers, home owners, architects and developers, providing charm and character in a classic slim style. A range of high-quality paving that redefines the traditional perceptions of clay pavers and opens up new design possibilities. 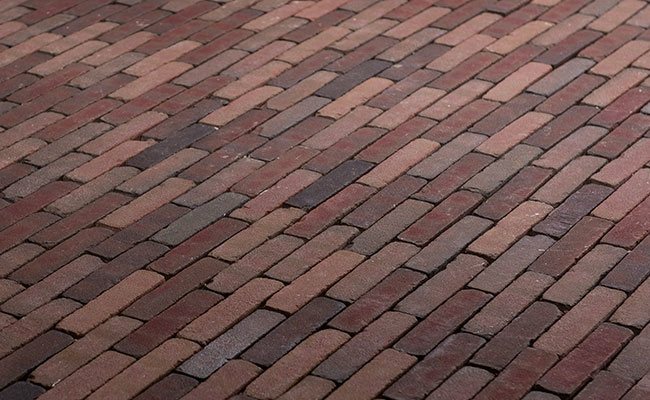 The Bricktile 40 collection is designed for applications where slimmer paver thickness is required for pedestrian situations. This paver type is perfect for wet laying or adhesive fixing where only minimal build up below is available. Architects, local authorities, and commercial landscapers call upon this range to provide the perfect design solutions and meet the most demanding criteria. The Concept Range offering clean, crisp design, and a fresh look to slim paving. The perfect old brick paving look, with warm rich tones, for use in a wide range of applications to give the distinctive antique paving effect. The perfect balance of contemporary, modern, and traditional in the finest clay pavers designed to inspire architects, housing developers and home owners. The style from which all clay paving originates, our brick on edge range is elegant and timeless, perfect for home and commercial applications. The Kessel DF range presents the DF face size format in a classic range of colours for paving at an affordable rate whilst still keeping a more narrow format. This range is ideal for aged paving designs. A domestic range of pavers designed for the homeowner and garden landscaper. The Linear range takes the slim paver format to the next level, enhancing the slim look by reducing width and extending length, whilst remaining in easy to use piece sizes. Premium quality paving, produced in colours both vibrant and inspiring to be both pleasing on the eye, and perfectly suited for all applications. The classic paving format with a tumbled finish, in a carefully selected colour range, that is equally practical in both modern and conservation situations. The unique Belgian paver size is extremely popular with garden designers and landscapers due to the distinctive size and format. The ultimate way to compliment hard and soft landscaping design, Tudor bricks also offer aesthetic qualities to new build ventures and restoration projects of all types. This classic look is produced in the size inbuilt into our heritage, the 2 inch facing brick.